Tired of losing online to gamers using modded controllers? Allow me to introduce you to the Titan One. The Titan One is a new exciting controller adapter that gives you all the same advantages of a modded controller and more without the need for installation. In fact you don't have to open your controller or console. This device is truly plug and play and will not void your warranty! Its also compatible with the PS4, PS3, Xbox One and Xbox 360! Its like having a modded controller for each console for no extra charge! Plus there are a ton of other features that make this the only add-on device you will ever need. And due to GamePack support when a new game is released you will have all the mods available immediately. Just download the new GamePack and program it to your Titan One! GamePacks - When a new game is released just download the GamePack and you are all set! No purchase required! Keyboard & Mouse Support - Have you ever wanted to play your favorite game with a keyboard and mouse? Now you can! Just use the MaxAim plugin and you are set. Remapping - Ever wanted to remap your buttons or joysticks? Now you can! Just use MaxRemapper and viola! CrossOver Controllers - Want to use your PS4 controller on your Xbox One, Xbox 360 or PS3? How about your Xbox 360 controller on your PS3 or Xbox One? You get the idea, this is all made possible with the Titan One! You can even use Wii controllers if you wish! Macros - Wish you could pull off that special fatality in Mortal Kombat? Want to create a juggling combo for Street Fighter? Now you can with just the press of a single button! Create your own Scripts - Let your creative juices flow! Now you can create your own mods and share them with your friends or the world. The sky is the limit and its now easier than ever to learn how to create your own scripts to do anything you wish. These are just a few of the advantages you get with the Titan One and i'm proud to announce that Extreme-Mods is the exclusive distributor for this wonderful device. New features are being developed right now and will be released at any time! 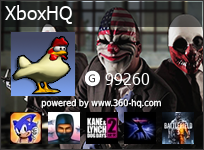 We release new firmwares and GamePacks frequently and if you know of a feature you'd like to see us implement just visit our forum and let us know! And of course if you need any help we are here for you! Now here's the best part. 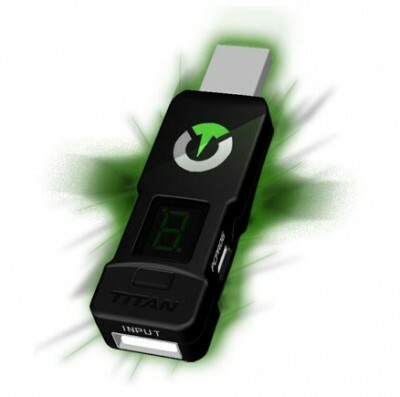 You can win a FREE Titan One just by "Liking" our ConsoleTuner Facebook page! For every 100 new "Likes" we will giveaway 1 Titan One and cover the shipping to your door! You don't have to do anything fancy just "Like Us" and you are entered! Share this with your friends and family and they will be entered to win as well! If you don't have the time or patience to wait for our Facebook contest you can purchase this device today on our website, eBay or Amazon!